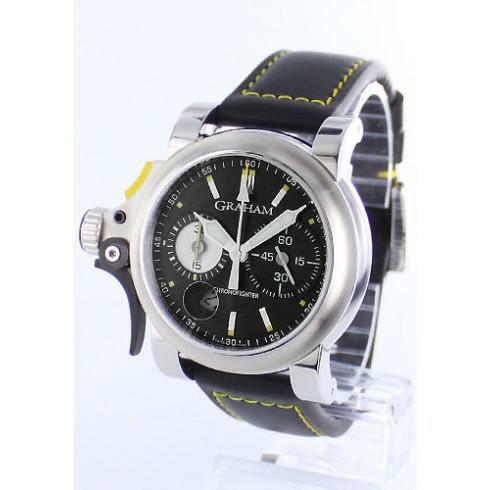 This watch is also known as: 2TRAS.U01A.L90B , 2TRAS.T01A.L90B , 2TRAS.U01A.L9 . 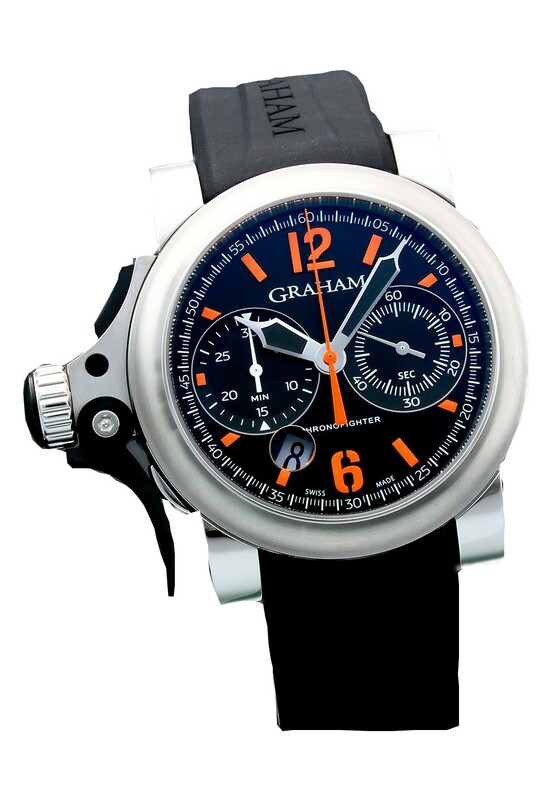 The Graham Chronofighter RAC Trigger has an automatic movement and a 46mm by 54mm stainless steel case complete with grey dial complemented by red accents. 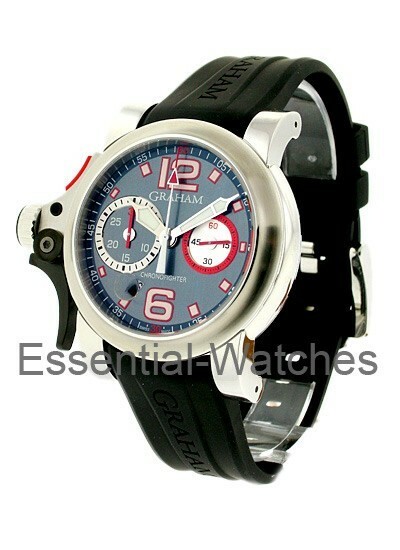 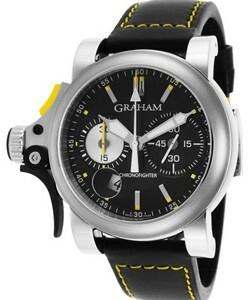 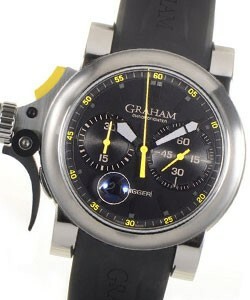 This Graham Model # 2TRAS.U01A.K43B has a column wheel chronograph caliber and a power reserve of up to 42 hours. 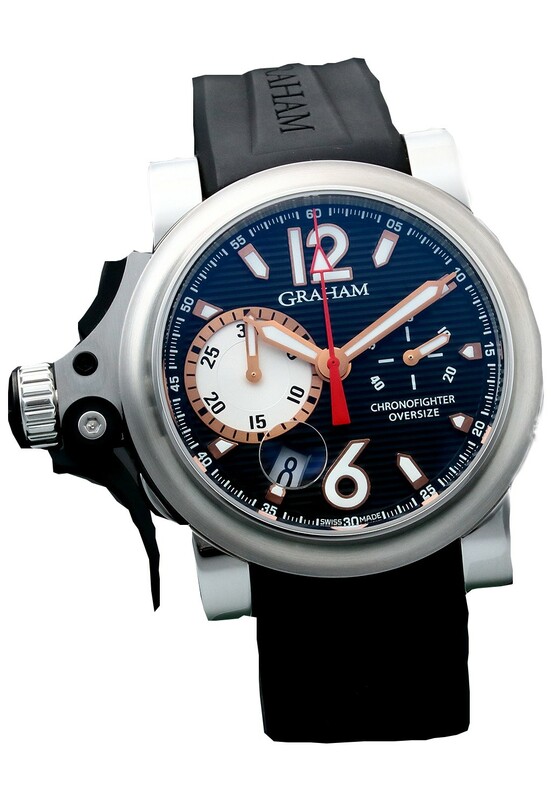 One of the premiere sports watches around, the Graham Chronofighter RAC Trigger as seen on this picture is in Midnight Rush Steel with a fast action start and stop lever and a reset pusher which is colored red. 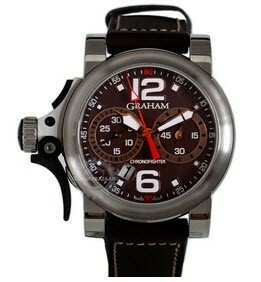 The Graham Chronofighter RAC Trigger is also water resistant of up to 50m and has a black rubber strap made up of calfskin further accentuated by red stitching complete with a tang buckle. 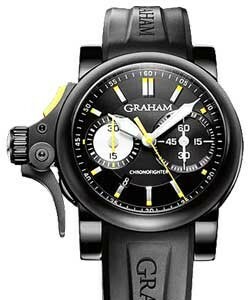 The Graham Chronofighter RAC Trigger is introduced as an upgrade from its two predecessors which are the Chronofighter RAC and Chronofighter Oversize and is characterized mainly by the left-hand side 'trigger' which is actually a lever mechanism.